Plants to 1.4 m, essentially glabrous. 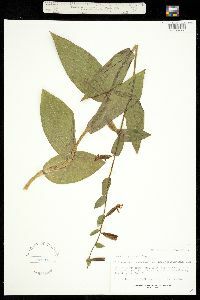 Leaves 4-14, ovate, ovate-elliptic to narrowly lanceolate, 5-20 × 2-7 cm. Inflorescences lax racemes; floral bracts lanceolate to oblong, 7-127 mm. Flowers 2-32, rather showy; sepals greenish to rose-colored with rose-colored to purple veins; lateral sepals 16-24 × 8-9 mm, apex very oblique; petals pale pink to rose-colored to orange with red or purple veins, broadly ovate to ovate-lanceolate, 13-17 × 6-8 mm; lip marked with red or purple, strongly veined, distinctly 3-lobed, constricted at middle into 2 parts, proximal part papillose, calli red, minute, warty, lateral lobes prominent subtriangular wings, distal part linear-oblanceolate to narrowly spatulate-oblanceolate, grooved to tip, 14-20 mm, calli near base, erect, orange or yellow, winglike; column erect, short, stout, with pair of lateral processes, 5-10 × 3 mm; anther green; pollinia 2 pairs, yellow, soft. Capsules ellipsoid, glabrate or sparsely pubescent, 20-25 mm. 2n = 40. Flowering throughout summer (Mar--Aug). 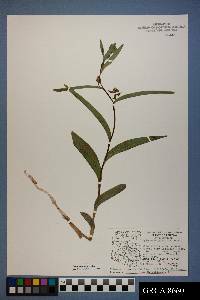 Wet gravelly and sandy stream shores and bars, may occur in riparian willow, box elder, and river birch woodlands or in chaparral, seepages, marshes, wet cliffs, hot springs; 0--3000 m; B.C. ; Ariz., Calif., Colo., Idaho, Mont., Nev., N.Mex., Okla., Oreg., S.Dak., Tex., Utah, Wash., Wyo. ; Mexico; Asia (China, India, s Japan, Tibet). 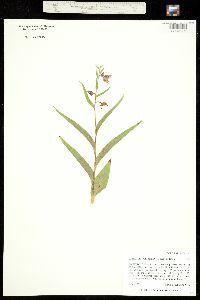 Two very distinct color forms of this species have been published: Epipactis gigantea forma rubrifolia P. M. Brown, with deep red stems and leaves, and E. gigantea forma citrina P. M. Brown, with lemon-yellow flowers. Both are known from California. 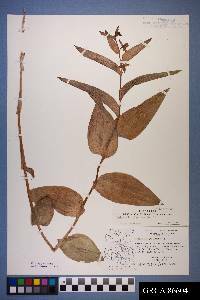 The occurrence of this wide-ranging species in India and Tibet is based on Epipactis royaleana Lindley ex Royle being given as a synonym in a study of the Monocotyledoneae of Karakorum (W. B. Dickoré 1995) and an embryologic study (S. P. Vij et al. 1999).